When you have young kids, even a trip to the mall can be an adventure. While kids may enjoy looking at all of the different items for sale, taking such a shopping trip can be an exercise in frustration if you are not fully prepared. 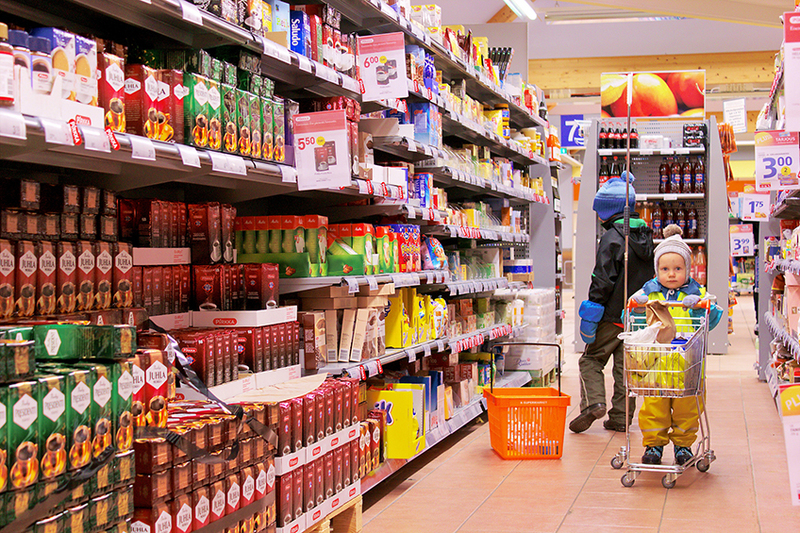 Even doing your regular grocery shopping can be challenging for both you and your child if you do not have any clear expectations for your child's behavior. Although some big box stores and shopping centers have an area geared for children, most do not. If you cannot leave the kids at home with your partner or another caregiver, there are ways that you can make your shopping trips less frustrating and perhaps even fun and educational. 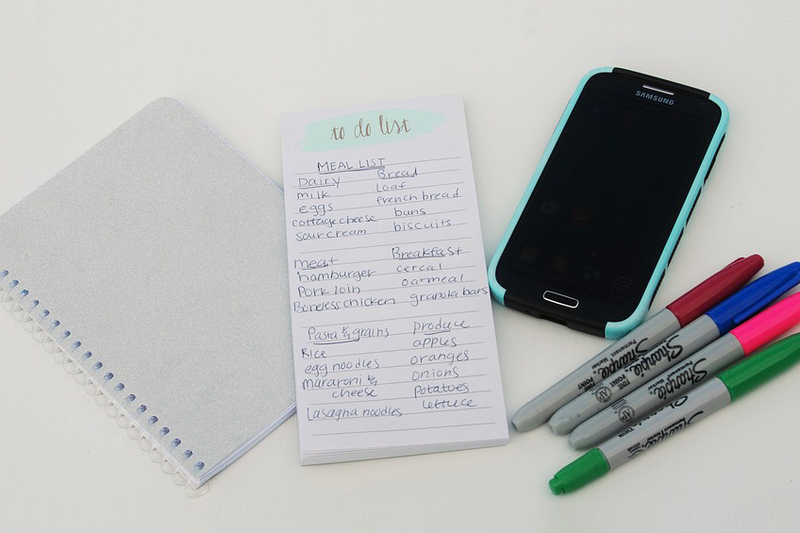 Before you head out, make a written or digital shopping list with everything you need to pick up on your trip. Kids can be distracting, causing you to forget the milk or diapers that you originally went out to buy. If possible, organize your list according to the store's layout. Prioritize which store to go to first. If there is one store where you can purchase almost everything on your list, go there first. If your kids start to act unruly, you could return home and still feel as if you accomplished most of your shopping. Stay focused on what you have to buy. If browsing and shopping for yourself are things that you enjoy, consider skipping that part of your trip and saving it for when you do not have to bring your children. If possible, do your research at home ahead of time so you can narrow down your choices and know how much the item should cost. Do the boring part of your shopping first, such as the paper products and pet food. Save the fun part such as selecting a flavor of ice cream for the last part of your store visit. If you have little kids, take note of where the store's toilets are located so that you can avoid any accidents. Kids and crowds do not mix well. When bringing your kids to shop for their shoes or clothing, go on a weekday as soon as the shop opens. There will be fewer people and your children will still have the energy and willingness to cooperate. Consider combining an outing for shoe shopping with a visit to your child's favorite cookie shop as a reward for good behavior. Have you ever gone into the store with an empty stomach, intending to buy milk and bread and coming out with a cart full? If you take your kids along and you are all hungry, the same thing will happen and everyone will likely be impatient and in a crabby mood. One of the worst times of the day to shop is after work and before dinner, when the store is crowded and bellies are empty. Whenever possible, time your shopping trip to be right after a meal. Grocery shopping could be done right after breakfast or lunch, or you could plan an early dinner and do the shopping in the evening. If you cannot do that, bring a resealable bag with a snack for each person or plan to buy something to eat in the store or on the way home, such as trail mix. Malls have hundreds of thousands of square feet of space, and covering the whole place in one trip with your kids may not be a feasible goal. Babies and preschool aged children do not have the endurance or patience for such a trip. Even teenagers may get bored with a long shopping excursion. If you have a lot to do, consider splitting the shopping into two separate visits, covering one level or section of the shopping center per visit. Your kids will be more enthused about a shopping trip if you give them something fun to do, such as reaching items from the shelf or crossing things off of the list. Give your toddler a pretend list and a crayon to use, or play an I-spy game with different foods around the store. Children can unload the cart onto the conveyor belt or help you at the self-checkout lanes. Allow your kids to make the choice when selecting certain items. Keeping your kids mentally busy will help you get through the task of grocery shopping more quickly and with less frustration. If you have the time and the store is not crowded, your shopping trip could become an educational experience. Show your kids the labels on exotic fruits so that they can learn where foods come from. Let kids touch the fruits and vegetables and choose a new item to try. You can name the colors, textures, shapes and sizes of the foods and count them as you place them into your cart. You can also talk with your school aged kids about whole versus processed foods, reading the nutritional labels and comparing the cost per ounce or unit of food. You can also show your kids a store brand item and a name brand item and compare the prices and ingredients lists. Children are hands-on and are naturally curious about all of the new things in their line of vision. They will want to touch and poke things in order to learn about them. Plan some extra time into your trip to allow your children to fulfill their needs for exploration. If you see that your child wants to touch something that is fragile, offer to hold it or do it together or let them know that it is for looking only and not for touching. Even if you do not plan to buy that colorful bouquet of flowers, your child may delight in the experience of touching the petals, smelling the blossoms and learning about where the flowers were grown. While out shopping with your kids, chances are good that they will ask you for at least one item that is impractical, costly or wildly inappropriate. You will need to know how to say "no" and mean it. The way that you say "no" can make the difference between your child having a tantrum versus acceptance of your stance. You can begin by saying no nicely but firmly and giving a reason, such as "This item is for children ages 10 and older, and you are six." If your child requests a pricey item, explain about the idea of saving and performing chores to earn the money to buy it at a later time. You can agree with your child that the item is nice, and then reach a compromise such as adding it to your child's birthday wish list or coming up with a set of extra chores to earn the money so that your child can pay for it himself or herself. 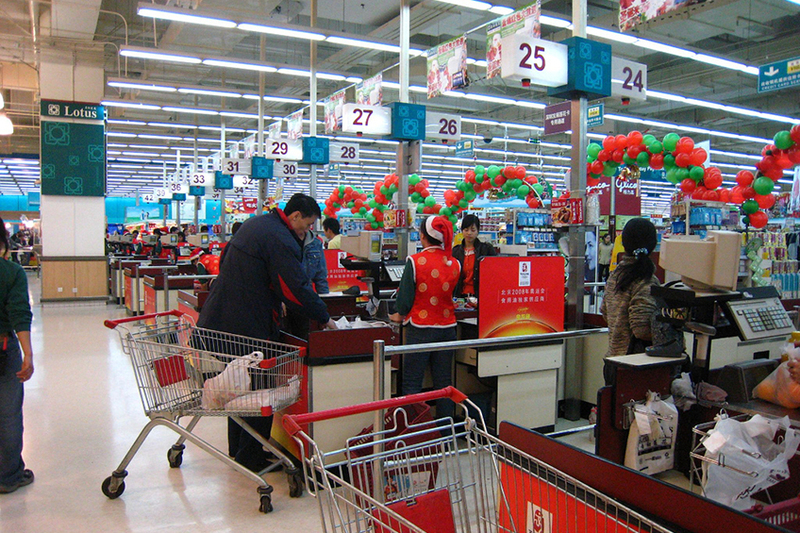 By the time you get to the checkout lanes with their enticing candies, gums and snacks, everyone may be tired, impatient, hungry and ready to go home. This is an excellent time to reach into your handbag and dole out the snack you brought from home. If there are any stores in your area that have a child-proof checkout that is free of candy, consider shopping there instead if the checkout lane is an area of contention between you and your kids. If there are not any such stores, consider speaking with the management and recommending that at least one lane be converted into this option. Even with your thorough planning, you will still need to be flexible so that you can handle any unexpected events or interruptions that take place during your trip. You might get to the checkout and realize that you left your wallet in your car or the store's computer system may go down, meaning your debit card won't work. Be flexible with the child who is hungry two hours before lunch time. On occasion, it might be worthwhile to buy that small pack of gum when things do not otherwise go as planned. In other cases, such as if your child feels sick, it may be better to just cut your losses and head home. Keep in mind which option will work out the best for you and family in the long run and remember that the store will be open tomorrow if today's trip does not work out. Going to the mall or grocery store with your children can be a productive, enjoyable and meaningful outing if everyone is prepared, patient and ready to cooperate. By planning ahead and establishing clear goals, you can stay focused on the task at hand. 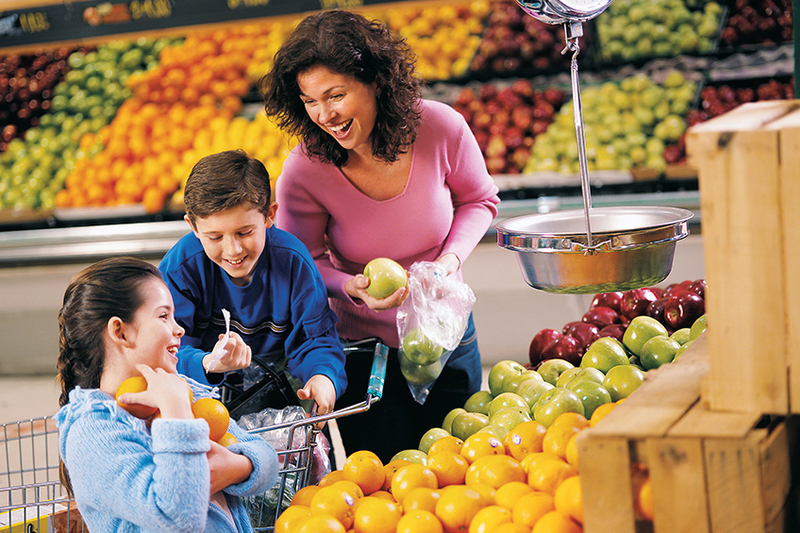 Remember that each store outing helps your children to learn and bond with you.